Markets continued their march higher this week, sending the Dow Jones Industrial Average to its fifth consecutive winning week. The bullish outcome was cemented by news on Friday that the Federal Reserve may end its balance sheet unwinding sooner than expected. This boosted investor confidence that the central bank is indeed continuing to adopt a more accommodative stance. The news from the Fed served to offset a weak China GDP figure, which showed the Chinese economy growing at its slowest rate in nearly 30 years, while U.S. housing data showed that existing home sales took a skid in December. It was a bumpy week, with early losses erased by better than expected earnings reports in the week’s later session. Overall, the Dow managed to post a 0.12% gain for the week. Data this week continued to reiterate the effects internal and external factors are having on China’s economy. China’s GDP annual growth rate advanced a “mere” 6.4% in Q4 2018, sending tremors as investors digested its lowest growth rate since 1990. For mature economies, a 6%+ growth rate would be considered gangbusters, but for China, who has enjoyed an average, annual growth rate of nearly 10% over the last twenty years (fueled by debt), Monday’s data represented a significant decline. The Chinese central government over the past several years has encouraged banks to shore up their balance sheets and reduce leverage. Consequently, liquidity within the economy has begun to dry up and investment and growth has cooled. In isolation, this might have been fine, but as external factors have begun to bear, including lower European growth, tariffs, and the uncertainty over the path of trade with the U.S., the rate of China’s deceleration appears to be mounting. Unemployment, while low, has begun to tick up. Wage growth has stalled. Real estate, industrial output, and retail sales are all softening. Thus far, the central government has been reticent to enact formal stimulus programs, but a measure of the central government’s concern can be inferred as they begin to reverse many of their previous policy directives to the banking sector to once again encourage lending. Investors clearly took note and sold off on China’s GDP news on Tuesday (U.S. markets were closed on Monday). After two months of increases, sales of previously owned houses in the U.S. dropped -6.4% to a seasonally adjusted annual rate of 4.99 million in December – a three-year low. Existing home sales figures are recorded when a mortgage closes. This means that data for December reflects sales activity 30-60 days prior. For the December reading, this means that homebuyers were looking to lock in rates in October and November when rates spiked to nearly 5.00% on an average 30-year fixed mortgage. This may not be high historically, but it represents a 25% increase from the year prior and this likely spooked buyers and impacted affordability. Fortunately, mortgage rates have come down to 4.45%, which is a level that is more in line with what we saw for most of 2018. A contributing factor to the steep drop in home sales was the government shutdown. While the shutdown did not begin until the last week of December, it did have some bearing by slowing the underwriting process for FHA and VA government loans as the agencies were operating with a reduced staff and at the U.S. Department of Agriculture as it ceased all USDA loans. Despite these factors, the drop was much greater than expected, but it is still too soon to say if this is a mounting concern or a short-term blip. YOY, sales across all regions (North, South, East and West) increased over December 2017 and prices increased 2.9% from the same period a year prior. The next couple of months will continue to be affected by the “shutdown” effect, but the odds are that there will likely be a resumption of activity with rates having dropped back to more reasonable levels and with the backlog being released now that the government shutdown has ended. Investors have managed to return their focus to healthy U.S. economic fundamentals, decent corporate earnings, and tame forward guidance now that 2019 is in full swing. In so doing, they have pushed the Dow 30 up 13.50% off its December lows. We continue to believe December’s selloff was sparked fundamentally by an erroneous characterization of the Fed as being tone-deaf, which gave way to deeper insecurities over China, the trade war, the government shutdown, Brexit, a global slowdown, corporate debt levels – you name it. So far this year, the Fed has gone out of its way to convince the markets otherwise, and with rumors this week that the Fed is considering ceasing it balance sheet runoff, markets should now have their definitive proof to whether or not the Fed is indeed listening. The Fed’s revised 2019 tone has managed to resonate thus far with investors, but we’ll get a chance to see if it goes far enough on Wednesday, when Powell delivers his post Federal Open Market Committee (FOMC) meeting press conference. Next week should be a big week for markets as the Federal Reserve holds its first FOMC meeting of the year. We’ll also have the first economic numbers of the calendar year with nonfarm payrolls and manufacturing numbers on tap. 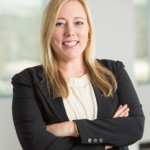 Alissa Kaiser, Probity Advisors, Inc. This week, we’d like to recognize and help readers get to know one of our hardworking and talented senior associates, Alissa Kaiser, who is celebrating her 15-year work anniversary with Probity Advisors, Inc. this summer. Alissa joined Probity in 2004 after an internship during her senior year of college. She graduated from Southern Methodist University with a BBA in management and operations and a minor in mechanical engineering. Alissa manages the firm’s day to day relationships with our advisor representatives and custodians, including Fidelity Investments and TD Ameritrade. She is responsible for managing the process for new account openings and for ongoing account servicing. 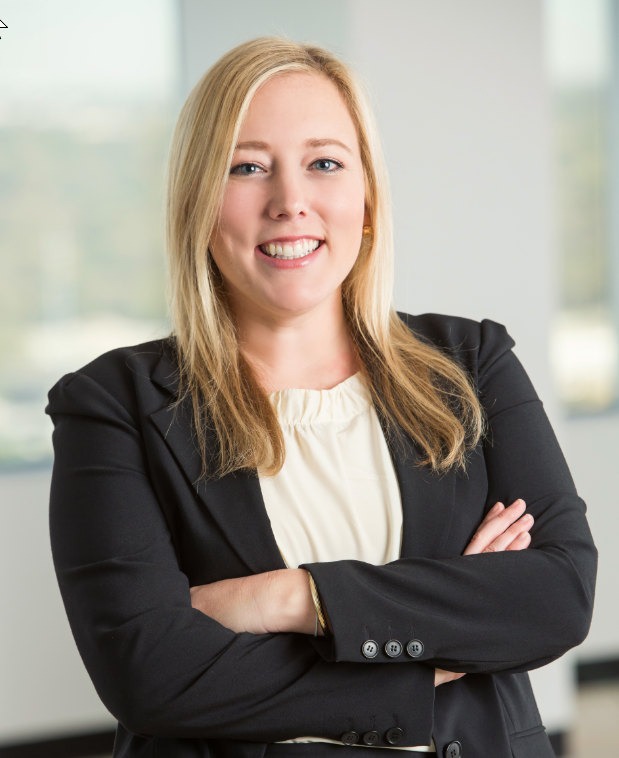 Alissa is deeply engaged in compliance for our firm and helps ensure Probity’s adherence to strict and complex industry regulations as well as the rigorous national and state reporting and filings required for investment advisors. Outside the office, Alissa has a strong commitment to giving back to the community. She has been a regular volunteer at the Dallas Arboretum and a member of the Junior League of Dallas. For the past several years she has played a major role in fundraising efforts to support victims of domestic violence. Since 2017, Alissa has been Alumnae Chair of Alpha Chi Couture, a fashion show and silent auction that has raised more than half a million dollars to bring hope and opportunity to victims of domestic violence. Funds raised at the annual event, which is the largest national event held by a chapter of the Alpha Chi Omega sorority, are distributed locally to Genesis Women’s Shelter in Dallas, to the One Love Foundation, and to the Alpha Chi Omega Foundation. Genesis Women’s Shelter provides safety, shelter, and support for victims of domestic violence. One Love is the national leader in educating young people about healthy and unhealthy relationships, and the Alpha Chi Omega Foundation provides mentoring, education, and scholarship opportunities for young women. We are so grateful to be able to showcase Alissa’s commitment to our clients and to the community. We hope you will join us in congratulating her for fifteen years of outstanding service. If you are interested in purchasing tickets to the 2019 Alpha Chi Couture fashion show and silent auction, this year’s event will take place on Friday, February 22nd, 2019 at 6:30pm at Dallas Market Center, and tickets can be purchased here.